Spiritual Crossroads: Charcoal - It's Many Healing Properties Will Amaze You!! Grind 3 tablespoons of flaxseed (or use cornstarch). Mix flax meal together with 1-3 tablespoons of charcoal powder. Set aside for 10-20 minutes to thicken, or mixture may be heated and allowed to cool. Spread the jelly evenly over an appropriate size cloth or paper towel. Cover the jelly with a second cloth or paper towel. Position poultice over the area to be treated (i.e., liver, stomach, kidneys, spleen, knee, eye, ear, sting or bite area). Cover poultice with plastic 1 inch larger all around (to keep paste from spreading and drying too quickly). Secure with surgical tap or ace bandage. Leave poultice in place overnight or from 2-4 hours, if applied during the day. technology can dream about but never equal. world around you? Do you work with your hands? Do you love exploring mysteries? Ear Infections - Activated Charcoal is an effective natural remedy for Ear Infections Gout - Activated Charcoal is a natural remedy for Gout Heart Disease - Activated Charcoal Fights Heart Disease in Kidney Patients Heavy Metals Removal - Bone Char is an efficient media for the removal of heavy metals in drinking water. Hemorrhoids - Activated Charcoal is a Natural Remedy for Hemorrhoidal Relief Hypertension - How to treat hypertension naturally. Insect Bites - Activated Charcoal is an effective natural remedy for Poisonous Insect Bites Kentucky Poison Control - Article demonstrates efficacy of Activated Charcoal in the treatment of Accidental Poisoning in children, reported in medical journal Pediatrics. Kidney Disease - Activated Charcoal is used in Kidney and Liver Dialysis machines. 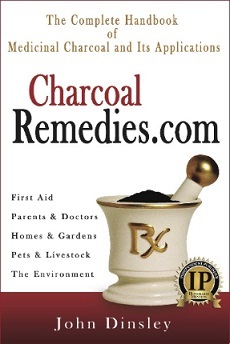 Activated Charcoal can be used to aid a sick Kidney or Liver. Liver Disease - Activated Charcoal for Liver Disease: Hepatitis, Jaundice, Liver Cancer Longevity - Charcoal used regularly prolongs life. Malaria - Activated Charcoal is a Proven Treatment for Cerebral Malaria. Measurement Conversion - Measurement conversions for activated charcoal MRSA - Activated Charcoal: an aid in the treatment of MRSA Infections. Multiple Chemical Sensitivity - People with Multiple Chemical Sensitivity (MCS) are often benefited by using activated charcoal air filters, as wel as taking activated charcoal orally. Odors - Foul odors may originate from many different sources including: bad breath; intestinal gas; vaginal odor, infected wounds, odors from garbage, gym bags, pets, even scented products. Activated charcoal adsorbs most offensive odors. Pregnancy - Activated Charcoal for Morning Sickness and Pregnancy Pressure Sore - Pressure Sores can be effectively treated with Activated Charcoal Poultices Prostatitis - Activated Charcoal: a natural remedy that helps to relieve Prostatitis Radiation Poisoning - Charcoal has been shown to effectively adsorb radioactive material and radioactive emissions, and is a valid method for prevention and treatment. Wasp Stories - Activated Charcoal is a natural remedy for the treatment of poisonous insect bites. WHO - Water Diseases - World Health Organization: cause, prevention and treatment of Traveler's Diarrhea & Other Water Borne Diseases Homemade Charcoal Water Bottle Filter - Homemade Charcoal Water Bottle Filter for Developing Countries and Disasters Wounds - Activated Charcoal is an effective natural remedy for the treatment of infected wounds. Wound Dressings - Activated Carbon Cloth is used in Wound Dressings in various applications such as wounds resulting from bed sores, pressure ulcers, leg ulcers, MRSA, skin grafts, burns, infected cuts, insufficient blood circulation, amputations, diabetic foot ulcers, surgical wounds, and other infections that do not respond to conventional treatment. ACC for Wounds - Zorflex Activated Carbon Cloth is an effective wound dressing for difficult wounds. Actually individual results may differ but for many it also may work. My uncle had Alzheimer and he was having problem with memory, communication and all. We tried many medicines and therapy but that didn't work. Finally alzheimer's treatment with the help of an website helped him out.